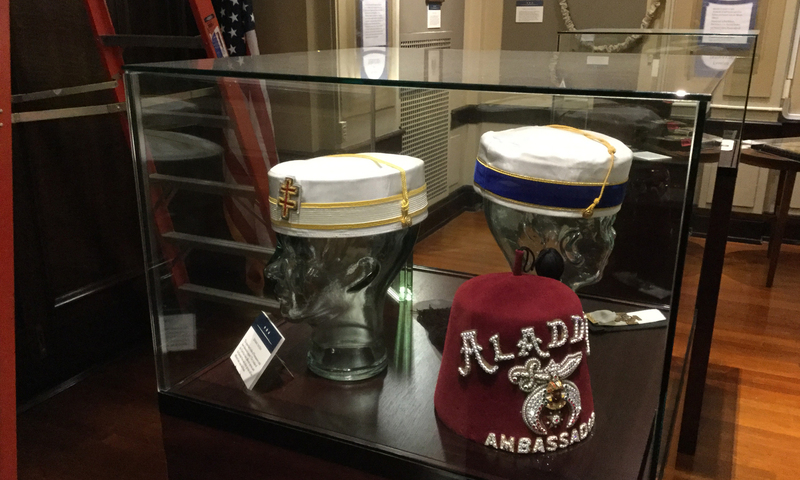 The Masonic Library and Museum of Indiana is soon making an invaluable historical asset available to researchers everywhere. 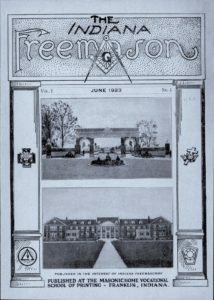 We have completed digitally scanning all issues of the Indiana Freemason Magazine from 1923 through 2003, and are in the process of making over 30,000 pages available online through our website. Keep watching this space, as we will be publishing links to the archive here as soon as we have established a suitable search system. 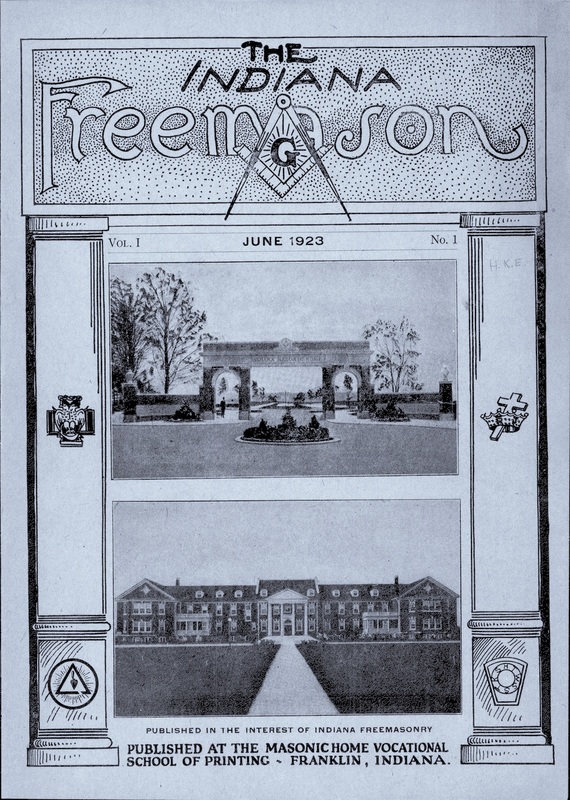 During the height of its production, the Indiana Freemason was published monthly and featured articles, essays, photos, announcements of events, rule changes, transcripts of speeches, advertising, and much more. 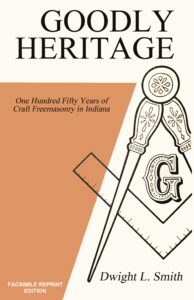 By the 1950s under the guidance of Dwight L. Smith, and with Wayne Guthrie (Indiana’s most popular syndicated newspaper columnist at the time), Charles R. Brown and other major contributors, the Indiana Freemasonbecame one of the most respected, popular and informative Masonic magazines in the country, with more subscribers out of state than among Hoosier Masons themselves. Such was its reputation and popularity that it even had a substantial number of overseas readers in an age long before the Internet permitted easy international communication. In the years before the turn of the 21st century the magazine had several editors besides Dwight Smith, including Laurence Taylor, Doyle Oursler, Walter Worland, Alan Lisle Jr., and Roger VanGorden. In addition to Indiana’s own Masonic authors and contributors, the Freemason published articles from some of the luminaries of the 20th century Masonic world: H. L. Haywood, Carl Claudy, Joseph Fort Newton, Lowell Thomas, Conrad Hahn, Alphonse Cerza, Melvin M. Johnson, and countless others. There are articles on history, practices, ritual, symbolism, philosophy, religion, archeology, patriotism. And nearly every issue featured news from around the Masonic world outside of Indiana as trends and rule changes were debated throughout the fraternity. They are a treasure trove for members researching their own lodge’s past, and they are a genealogist’s dream. The Indiana Freemason was printed during this period at the Indiana Masonic Home, and the on-site print shop there was originally designed as a vocational training program for the boys at the Home. The print shop was started with almost $4,000 (equivalent to nearly $60,000 today) in donations from Mystic Tie Lodge 398 in Indianapolis. The boys learned a trade, and the fraternity got a tremendous resource in return. By the 1950s, the print shop was staffed with paid employees, and it was a major operation that cranked out not just the magazine each month, but reams of books, pamphlets, forms, reports, stationary, and other paperwork that served the 185,000 Masons of Indiana at its height. In addition to the Freemason magazine collection, we have also scanned several individual histories of lodges from the Library’s collection. These include: Warren 15; Terre Haute 19; Webb 24; Clinton 54; New Castle 81; Richmond 196; Lessing 464; Tippecanoe 492; Garfield 569; West Lafayette 742; and Tell City 823. These make up a fraction of our archive of lodge histories. In the course of preparing this massive scanning job, we have also uncovered several unpublished manuscripts of major importance to Indiana’s Masonic researchers and other historians, and we look forward to there being enough interest from readers in continuing this process. We are also hoping to permit the future online exploration of our objects in the Museum’s extensive collection. With this in mind, we are pursuing a partnership with the Indiana State Library and their Indiana Memory database to reach a wider audience, and to ensure the long-term online presence of this material in the ever-shifting Internet landscape. 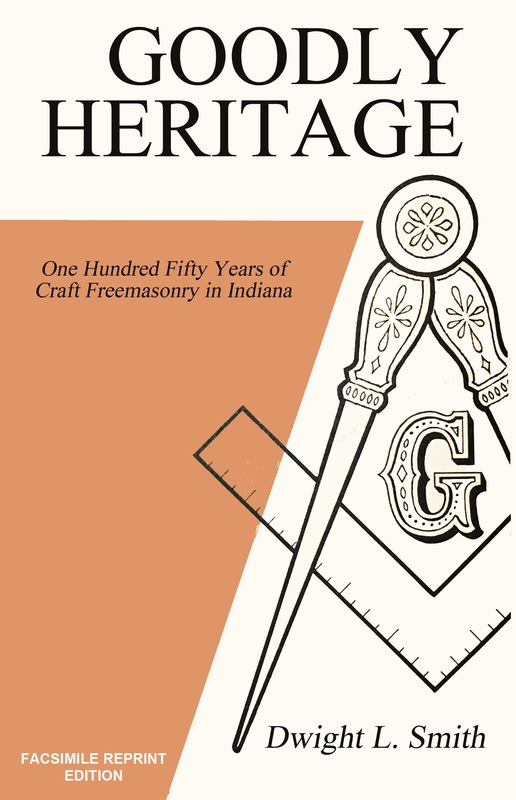 Finally, Dwight Smith’s 1968 Grand Lodge history, Goodly Heritage, is now available online for the first time, and will be obtainable as a print-on-demand traditional book, as well. Smith’s indispensible volume has not been available in print or online since it sold out in the 1970s, and every Indiana Mason should have ready access to it. Be sure to keep checking in with our website as we update access information throughout the fall. This mountain of Masonic education and history available online will be an indispensible resource for Masons and non-Masonic historians, academic researchers and genealogists. It was made possible in part by donations from lodges and individual Masons all over Indiana. Brethren have made both large and small donations to the MLMI this year, and we are deeply appreciative of everyone’s support. We would like to take this opportunity to especially thank the Prather York Rite bodies for their generous contribution in May.